Sight and Sound 2011. All the films reviewed in Volume 21. Two sexually progressive New York gals ditch their down-and-out lives for LA in search of spiritual awakening. 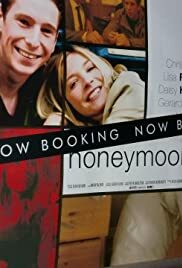 David (Stephen Mangan) constantly stresses over his love life and feels a choice must be made, stay with his too-agreeable girlfriend, Lisa (Susan Lynch), or go after exciting and tricky Nina (Lara Belmont). I have to say I haven't been so pleasantly surprised by a film for some time. Spector's comedy is refreshing and his keen eye for observation elicits some truly funny scenes. The laughometer was needed to record three proper belly wobblers, a couple of snorts and plenty of sniggers. All of this from a movie which only lasts 75 minutes. The script is so fresh because it looks at relationships through the eyes of a jilted bloke, rather than the dozens which stare through the mascara stains. It kicks off with our hero, Fran, lying on his own in bed on what was meant to be his wedding day. We follow him for the next two weeks when he should have been on his honeymoon. During that time his two rather flighty best mates attempt to drag him out of his pit of misery by pushing girls, alcohol or even yoga in his direction. Indeed, Fran has several chances to find a temporary solution to his situation with several rather attractive females throwing themselves at him but he is not convinced of a quick-fix answer, unlike his friends who are desperate to bed anyone in a skirt, despite being both involved in long-term relationships. The film belongs to Gerard Kearns (Ian Gallagher in Shameless) who, as Fran, is endearing yet not wet, thanks to an earnest or even, at times, deadpan delivery. Spector's writing is also a triumph. Fran is like so many 20-something blokes - misunderstood, awkward and lacking in confidence. The very people who would scorn the idea that it is always women who get the rough end of relationship break-ups. Spector says that he was interested in how the nice guys who offer security get dumped and the bits of rough don't. It's a line which will find much sympathy. He has also done a masterful job of packing such a good movie into just 17 days of filming. Both Mrs W and myself gave it a big smiley face and a splendid 8/10. Go along and see it...it's a bromance which will please lads and lasses.